As I explained in my Košice post about sightseeing, when we stopped in Eastern Slovakia on the way back from Ukraine we had less than a full day to explore the city. For one thing, this meant missing out on promising spots here and there in and out of the centre. Not only: it means that I also don’t have that many food and/or drink places to recommend: there’s no way I can put together a proper sample as I did with Sofia. I do have two names on my list, though, which are likely to please a wide range of taste buds. Here they are. This one is a traditional Slovak/Polish restaurant on Hlavná Street. 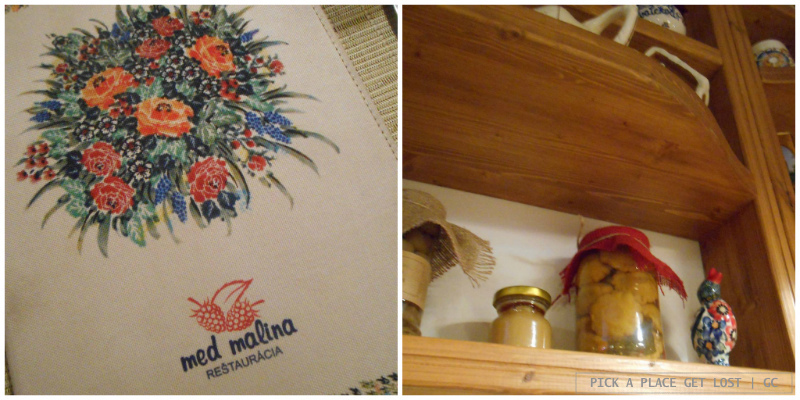 If you’re not familiar with Slovak food or taste it for the very first time, this might be a good place to start. Entering the restaurant is like stepping into the dining room of an old house with wooden tables, colourful furniture and dim lights, which make the atmosphere warm and homely. Speaking of which, the place is not that large, so reserving a table is recommended if you plan to go at the weekend. 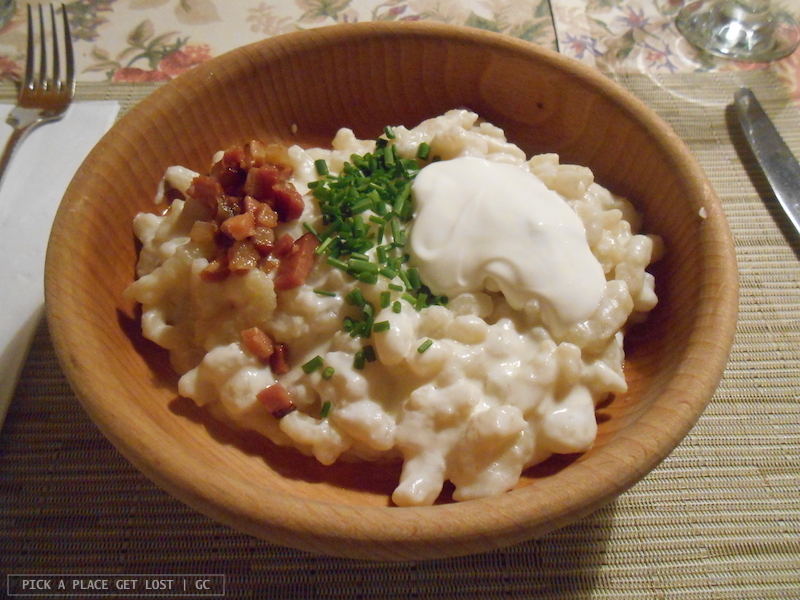 Alongside a long list of typical Slovak (and Polish) dishes I will not mention here (or this post will be without end), the menu obviously includes Slovakia’s most traditional dish, brindzové halušky, dumplings made from flour and potato served with sheep cheese and bacon. Well, of course halušky are on the menu. You’re in Slovakia and, as the saying goes, When In Slovakia, Eat Halušky. Of course I’ve just made up this saying myself, point being, they really are a staple of Slovak cuisine, plus they are delicious. In fact, alongside a couple of other typical restaurants, on Hlavná there is also a haluškarna, a restaurant specialised in halušky. Okay, by now you should at least be curious to try halušky. If you’re not, well, it’s not my job to try and convince you, so maybe you will try something else, and give halušky a chance on your next trip to Slovakia. If my friend hadn’t recommended this one, chances are I’d have missed out on it, and that would have been a mistake. Republika východu ranks very high in the list of cool places I’ve been to so far. The name of the restaurant literally means ‘Republic of the East’, which clearly hints at Košice’s geographical location in Slovakia. Opened in 2013 in the main square, right across the street from Saint Elisabeth, it was founded like an actual Republican State, with its own flag, coat of arms, anthem and Constitution. In fact, the Constitution is also hanging on the toilet wall, so you might want to pop in there, even if you don’t really need to go. Predictably enough, the menu is in Eastern Slovak dialect, which makes it fun to leaf through the pages, though one is likely to barely understand a word if one only knows some basic standard Slovak. What’s out of the question is that you might be disappointed, regardless of whether you plan to eat there or you’re stopping by for a coffee. Coffee itself is delicious, and the menu includes multiple sections, from breakfast dishes to pancakes, salads, soups and meat dishes, to name a few. 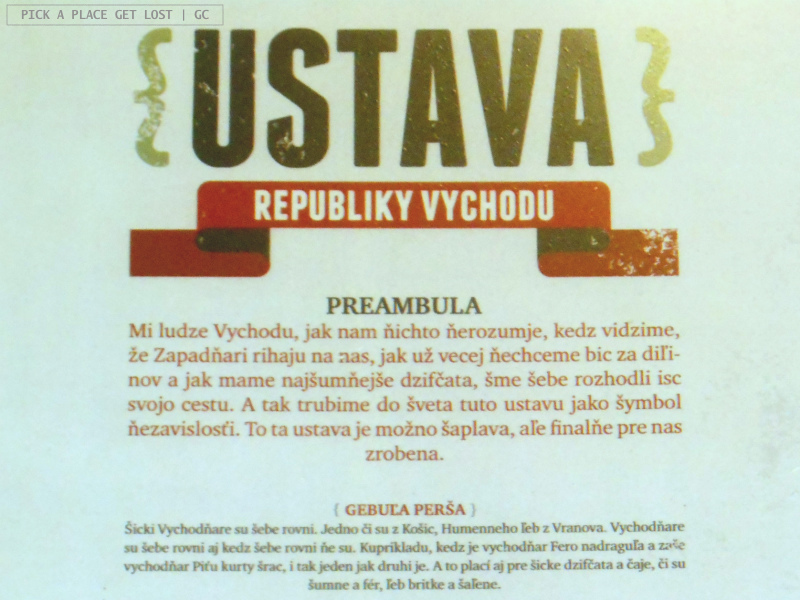 As reads the rule on the citizenship of the Republic, Republika Vychodu barz ľubi svojo ľudze: ‘The Republic of the East loves its people’. 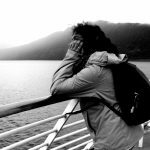 Wait till you’ve been there, and you will certainly return the feeling. This entry was posted in Faves, Faves. Food, Košice, Slovakia and tagged eastern slovakia, eating in kosice, halusky, kosice, med malina, republika vychodu, slovak cuisine, slovakia by Giorgia. Bookmark the permalink.